Are you crafty? Halloween party invites are the perfect time to let those creative juices flow! 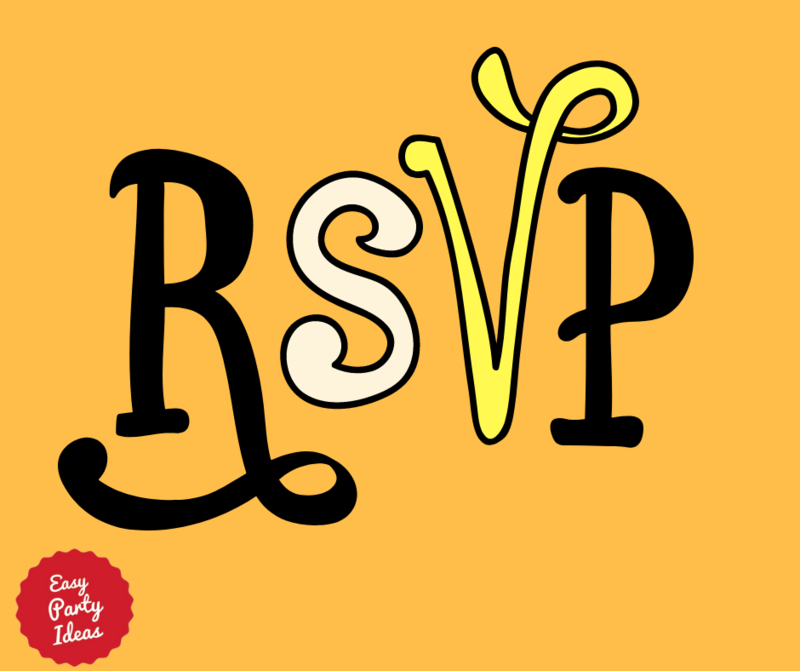 Even if you don't consider yourself crafty, I bet you can still make wonderful invitations yourself. When you make an invitation by hand, you can craft a special, individual creation for each guest. It can be as simple as a pumpkin shape, or as elaborate as you can imagine! You can find lots of fun Halloween themed papers that have been crafted into cute invitations in the galleries at websites such as Pinterest and Scrapbook.com. If you've created your own invite to a Halloween party, we'd love to show it off on this site and provide inspiration to other party planners around the world! Share it here! If you are looking to purchase Halloween invites instead... Probably the biggest selection of Halloween invitations is going to be found thru Amazon.com. Their product selection includes many manufacturers, stores, and individuals in designs that are anything from cute to scary. A quick search for a style (fill in the blank, printable, etc.) and a theme (skeletons, pumpkins, or general 'Halloween') should give you lots of options. If the people you are inviting live closeby, you can create a special way to invite them to the party! 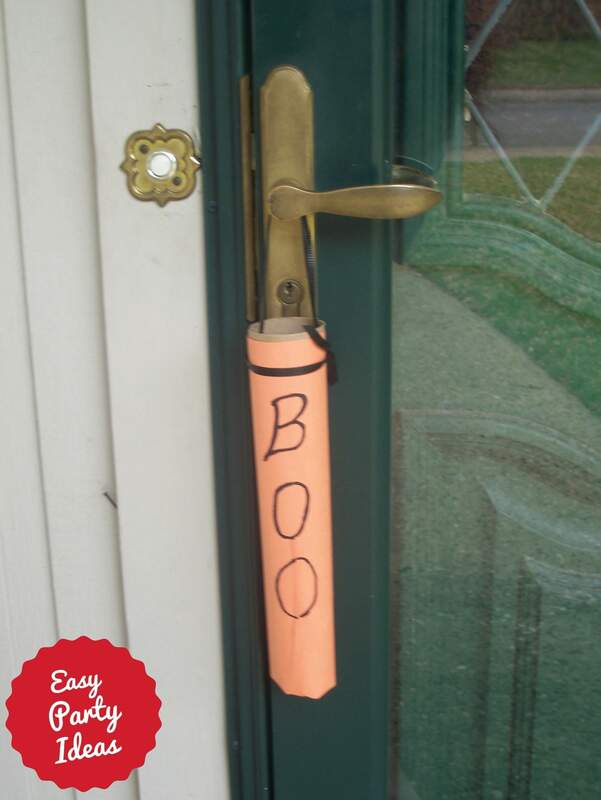 Create this door hanger out of an old paper towel roll, fill with candy and your invitation, and leave on their door! Make your Halloween Party Invitations all Fun and Games! Whatever type of invitation you send, it would be a really fun idea to include a Halloween word search, crossword, trivia or similar game with your invitation. This can really help your invitation stand out from the many others your guests might receive! 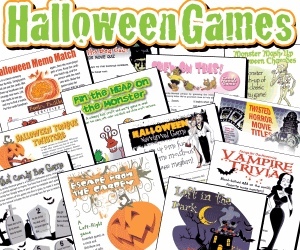 Check out the selection of the most popular printable Halloween games available online. Read my review of printable games and learn about how easy and inexpensive they are. My favorite place to find online, printable games is PrintGamesNow.com. You'll find the best selection around - they have everything, including scavenger hunts! Don't leave your guests wondering about the details! You'll want to be sure to include the "who, what, where, when" about your party, as well as any other special instructions. Do you want guests to wear a costume? Be sure to tell them! I find that even people who wouldn't normally come in costume will often decide to dress up for a Halloween party. Is there a prize for the best costume? If so, tell this too - it might provide a little extra inspiration! This handy invitation guide can serve as a checklist to make sure you don't forget any of the important stuff! Halloween Party Games for any age!